Yes, you heard right. You don't have to buy games or in-game items unless you absolutely love them. If you fall head-over-heels for one of them, all you’ll need is a valid credit card, debit card or redeemable code. You’ll never be charged unless you choose to make a purchase. Boasting both award-winning developers and up-and-comers, you’ll always be on the cutting edge of game releases, as OUYA delivers every genre you love, from shooters and action adventures to RPGs and puzzles. And since OUYA downloads all its games directly, that means no compact discs cluttering the coffee table. Outfitted OUYA with NVIDIA Tegra 3 processor, 1GB of RAM, and 8GB of internal storage (expandable via USB). So don’t hold back. Whether you use WiFi or Ethernet, download games or stream your favorite videos or music apps in beautiful 1080p HD. And since OUYA is the first totally open video game console, we welcome you to unscrew it and have a look around. If you’re the kind of person that has that killer game locked inside you, you can build games for OUYA, too. 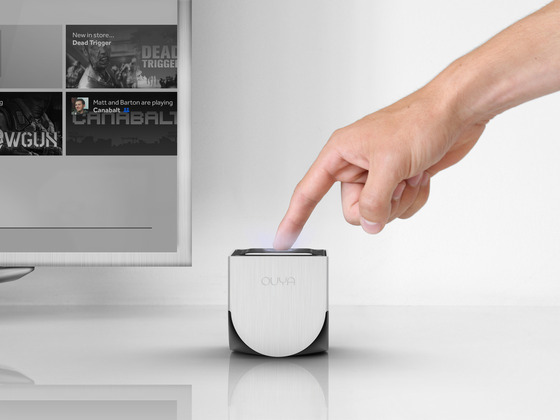 Our tools are free and come with every OUYA — no more excuses.